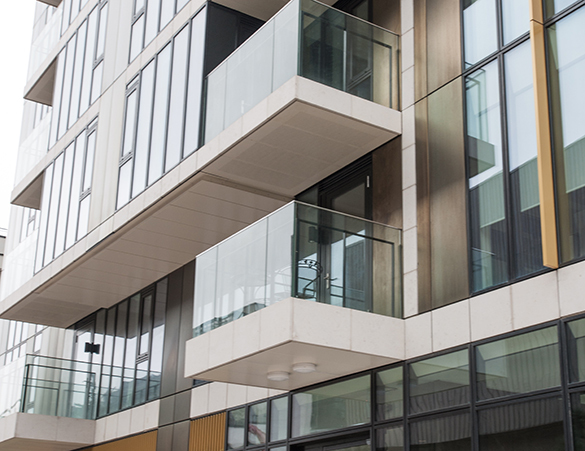 Frequently less demanding in highly technical specification, premium glass for residential buildings invariably orientates around aesthetics and the ability of glass to fill spaces with natural light and provide panoramic views. Our customer profile for this sector embraces both private developers working on premium architect designed private residences, and commercial developers building unusual and highly-stylised apartment blocks. Kite Glass manufactures and supplies laminated glass and decorative glass solutions that are both aesthetically pleasing, as well as, structurally strong. Kite Glass’ range of case studies showcase our experience and give some examples of our glass in a residential environment.